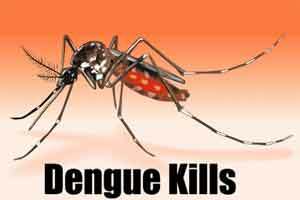 NEW DELHI: Delhi has reported this season’s first dengue death, with an 18-year old succumbing to the mosquito borne disease last week, said official reports on Tuesday. Farheen, resident of Jafrabad in north east delhi, breathed her last at Lok Nayak Jai Prakash (LNJP) hospital on July 21 where she was undergoing treatment since a day before her death. According to the father of the deceased, their daughter was admitted to the Delhi Government’s Jag Pravesh Chandra Hospital after witnessing dengue symptoms like fluctuating fever and vomiting. The doctors there confirmed dengue after the patient tested positive. “However, our daughter was just given an injection and left unattended later, because of which her condition deteoriated and she was later shifted to LNJP on the night of July 20. Though the doctors tried but she died the next morning,” said the victim’s father. Delhi till now has witnessed a total of 90 dengue cases.